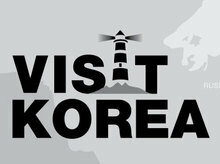 Pop singer Kim Jang-hoon and public relations expert Seo Kyoung-duk placed a full-page advertisement in the New York Times to promote the beauties of Korean tourism, including the country’s finalist in the New7Wonders of Nature campaign. Their full-page ad in the New York Times promotes Korean tourism, including its finalist in the New7Wonders of Nature campaign. “Soon after the advert hit the NYT, readers sent about 20 e-mails, saying that they didn’t know that Jejudo was one of the finalists for the New7Wonders of nature poll and that they plan to visit Korea,” Seo, professor at Sungshin Women’s University, told the Korea Herald. Since 2008, Kim and Seo have placed adverts in the New York Times, the Washington Post and the Wall Street Journal to let the world know more about Korean issues. Next on their agenda is a “Korean history series”.